The Kiss Beautiful Brow Kit is all a lady needs to create a beautiful, natural & long lasting eyebrow! Like many young, know-it-all teenage girls, I over-plucked my eyebrows when I was younger, leaving me with very little to work with in my 20’s and 30’s. Not once did I heed my mother’s warnings that over-plucking not only looked silly but would also cause bald spots; well she was RIGHT! (I will never admit this to her!). I’ve since then learned the error of my ways and I now leave the grooming to the professionals. 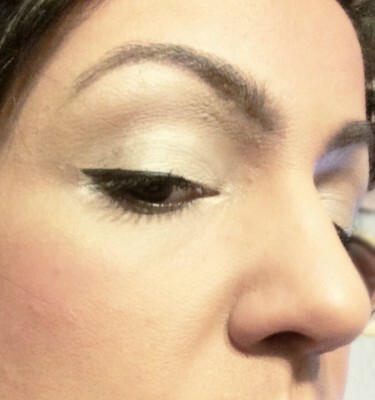 My natural eyebrows are still present and shaping, shading and filling them is a part of my everyday makeup routine. Over the years I’ve mastered the art of creating and filling out my eyebrows with a combination of different techniques and products to create my ‘perfect, all-day eye brow look’. 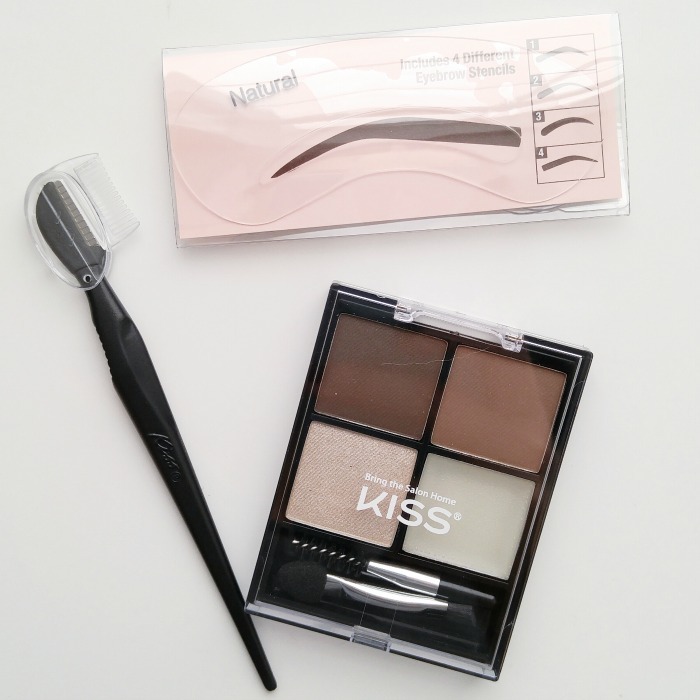 The Kiss Beautiful Brow Kit caught my eye almost instantly due to its ‘all in one’ compact and its claims to be effortlessly easy to apply. The textures of the shadows are both smooth and easy to apply. The packing is plastic and light weight and fits in the palm of your making storage a breeze. The brow palette comes with 2 shades included: a dark brown and a light brown. My hair is dark brown to black, and I have tanned, olive toned skin. I’m pleased to report that I was able to match the color of my dark brown eyebrows perfectly. I was worried that the shades provided would be too light but after trying a few different color combos I was pleasantly surprised that all I needed was darker brown shade; it was the perfect match! 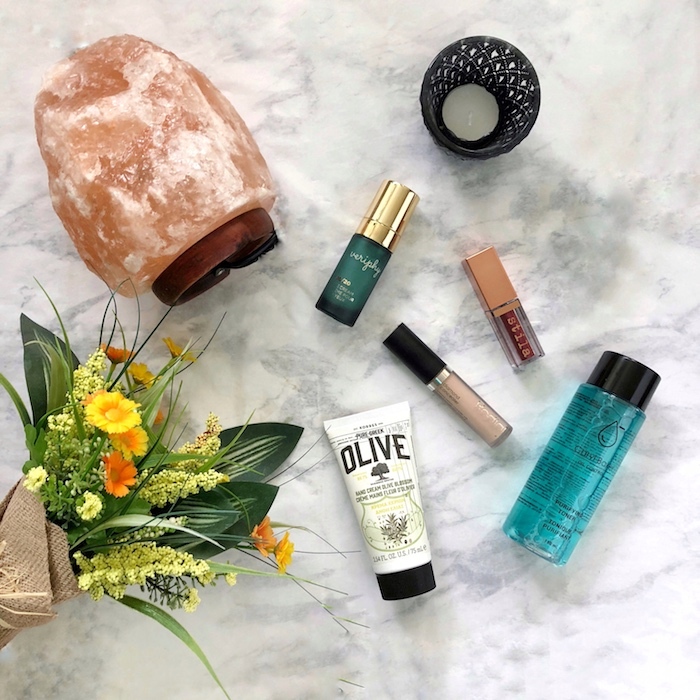 For those of you who have a lighter complexion and lighter hair, the lighter brown shade may work perfectly, or even a combination of the two shadows. The fact that there are two shades included in the palette is perfect for an all day, natural looking eyebrow. The third pan of the palette is a light, shimmery eye shadow that can be used to highlight your brow bone and the inner-corner of your eyes. I was worried it would be too shimmery, making it more suitable for an evening look; but it wasn’t – the look is very natural. And the fourth & final pan in the palette is the brow wax. I only needed a little to make sure the powder didn’t budge; after an 8-hour work day, my brows still looked great! This was one of my favorite things about the Kiss Beautiful Brow Kit, especially when I was overdue to visit my ‘eyebrow guru’ and brow hairs were becoming unruly. The brow wax keeps everything perfectly in place all day long! The tools are mini, but work very well. The fact that the tools fit in the same little package as the brow palette made getting used to using mini-tools worth it for me! I didn’t expect such super-mini brushes to do a great job; however the angled brush side is thick enough to draw lines yet fine enough so you can’t overdo it. The brushes were surprisingly great in comparison to my other expensive brushes. 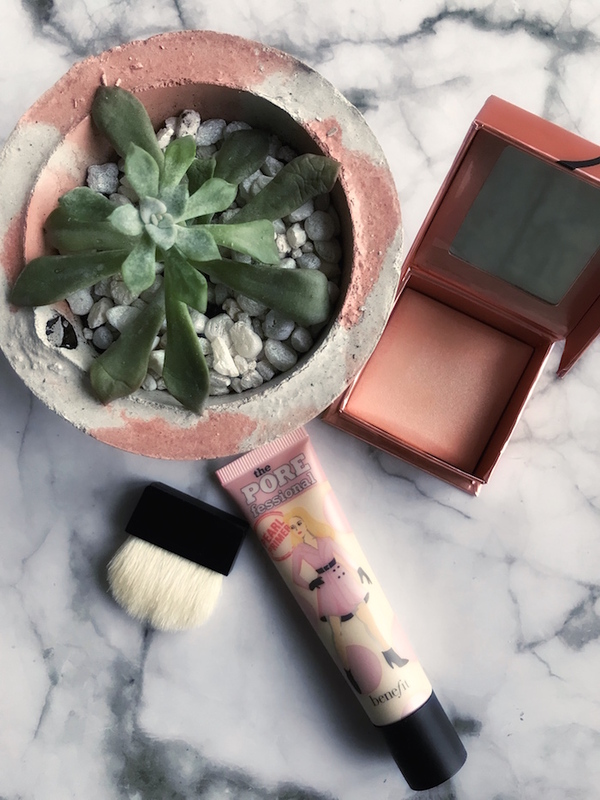 I honestly can say I use the super-mini angled brush everyday; it’s my ‘go-to’ brush for my eyebrows! Although this kit comes with a razor to clean up stray brows, I didn’t use it so I can’t report on that one! Finally this kit includes four stencils. I have mastered shading and shaping my eyebrows free hand but I was still excited to see if the stencils could provide me with a different, more dramatic look. The four stencil shapes are pretty different; my favourite being the one called “dramatic”. It allowed me to create precise and defined brows for evenings out on the town. Once I had the stencil in place over my natural eyebrow all I did was fill it in. WOW, was I happy with how clean the lines of my brows looked! The shaping didn’t look fake and my eyebrows were so much more pronounced on my face while still looking natural. I would recommend experimenting with the four stencils and pick the one that you feel looks best and helps you achieve the look you want. The Kiss Beautiful Brow Kit is now one of my favorite products. It’s compact, easy to use, and better than some of the other more expensive eyebrow kits I have used over the years. I would highly recommend this to anyone, pro or novice, that wants to achieve a perfect brow! 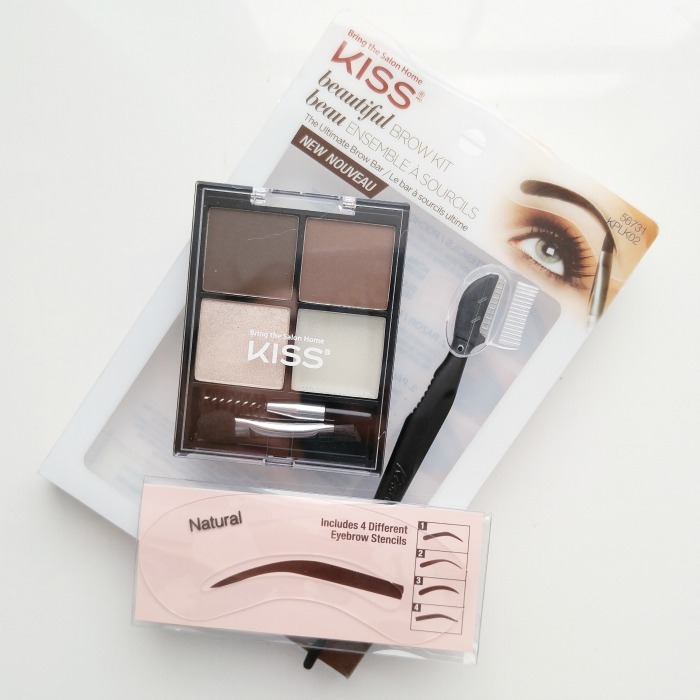 Have you tried out the Kiss Beautiful Brow Kit before? What’s your favourite brow product? Tanya is beauty lover and mom to 2 crazy kids. She's a dedicated runner, is a reading fiend and loves anything and everything girly.